Let’s be brutal here, getting truckloads of visitors to your website isn’t always a walk in the park. I mean, sure, you can always use paid ads to flood your website with relevant traffic. However, if you want a traffic source that has longevity to it, then you won’t be getting much out of your paid ads. After all, your website’s traffic will almost always immediately die down the moment you turn off your paid ads. The same can’t be said when you’ve successfully “SEOed” your site. Not only can ranking high on the search engines give you truckloads of traffic — if you’re ranking for the right keywords — but there is also longevity to this traffic source since those appearing on top of the search results don’t usually disappear overnight from the SERP’s first page. If that’s what you’re looking for right now — learning about SEO to get more traffic to your site — then allow us to share with you these SEO strategies to generate massive website traffic and leads.Let’s hop right in. One of the first things you want to do after installing WordPress into your website is to prevent the search engines from indexing your pages. After all, you won’t really have all of your content and images ready immediately after you install WordPress to your site. It can, realistically, take weeks before your site is fully ready to go live. Sadly, search engines cannot differentiate between sites that are still being developed and sites that are 100% ready for indexing. As a website owner, you want to manually switch off the indexing. This prevents search engines from ranking your site based on your incomplete material and not-so-ready site. 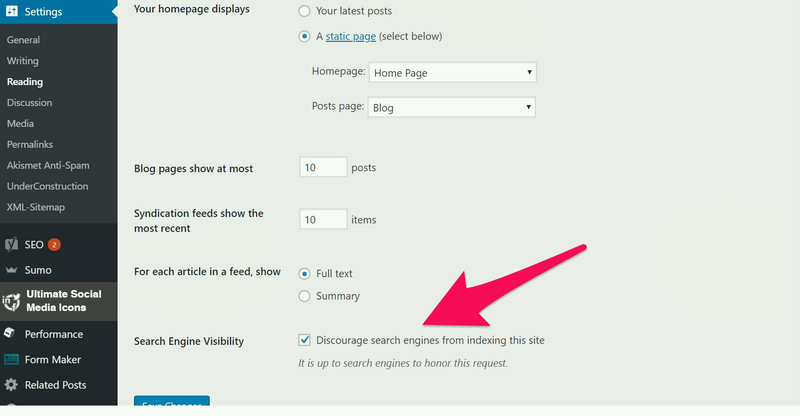 Simply go to the Settings option on your WordPress dashboard, click the “reading” option, and tick the “Search Engine Visibility” box to discourage search engines from indexing your site. Simply uncheck the box once your website is ready with search engine optimized content. The process of indexing and web ranking will start almost instantaneously. In order to fully flesh out your content strategy and align it with optimal SEO for your site, the next step is to do your keyword research. No article on How to Do SEO for WordPress Blogs is complete without mention of keyword research. This step is the foundation on which your whole SEO roadmap rests. Keywords at their simplest, are words that are typed into a search engine to obtain specific results. For example, the keywords “weight loss diets” to find diets that aid weight loss. The right keywords are essential to make sure that your content gets exposed to your ideal clients by ranking you higher in their searches. Ubbersuggest is an excellent tool that you can use for free to generate hundreds of keyword suggestions for a specific word or phrase in your chosen niche. 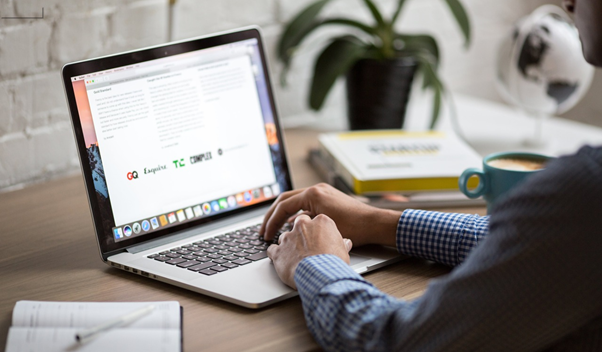 Ubbersuggest also provides specific keyword data including search volumes, competition, costs as well as competitiveness which you can make use of to select the right keywords. High competition keywords (competitiveness rating of 0.4 or less) are best avoided, unless you’re already a media superstar, given the greater difficulty in being able to rank. Also, think about combinations in conjunction with terms such as “how to”, “for hire” or “cost” which are likely to be used with greater frequency by search engine users looking for services. The utilization of keywords in themselves is only useful to the extent of how well they are used on your site. Smart usage of keywords enables search engines to find more material to index, as well as rank you higher as an authority because of it. Yoast SEO is a popular WordPress plugin for digital marketers that you can use to optimize the pages on your site for search engines. Yoast SEO offers a large number of benefits including keyword analysis as well as ideas on how you can improve the way you use keywords and other critical SEO elements on your posts. A good best practice to follow as a standard is the insertion of your keyword once in your page title, and then once again in the first sentence of your “meta description” feature in Yoast. Whilst keyword placements used this way don’t significantly impact your ranking, they can increase clicks to view content, improving lead generation or redirection to sales pages. This is a strategy that is used very successfully by top digital marketers to improve their brand positioning, visibility, and exposure on search engines. Once you’ve identified the best keywords and injected them into your site at all the right places, the next thing you want to do is add images and make sure they’re SEO friendly. Adding images to your content is the fastest way to attract readership, engagement and improve search engine rankings. Visual content has been proven to be more attractive than pure text. For best results, ensure that you add a descriptive title and matching alternative text tags to all the images on your website. To set this up on the WordPress dashboard, select the specific image from your media library and then edit the Title and Alt Text fields. The addition of a descriptive title and relevant alt text is a must to enable search engines to index your site. It helps search engines better understand and interpret your visual content. Another key aspect to remember is that your images should take up less storage space on the site. If they utilize unnecessary bandwidth, your users will find your site slow to load. WP Smush is an easily downloadable WordPress plugin that enables compression of an image without a reduction of quality. Compressed visual content is a necessity to ensure faster upload speeds on your site and improve your end-user experience. After installation, WP Smush can also be used for compressing all the visual content already on your site. Simply click “Bulk Smush” from the options and then the “Automatic Smush” feature. If your visitors are also having latency problems that’s causing them to experience delays from the moment they request your webpage to load — to the actual time your content appears on their screen — then you can use CDNs to have a faster load speed. Having a selection of internal links on both your home as well as other pages is necessary to catapult your search engine rankings. Internal link trails are food for hungry search engines looking for authority and relevance. Readers also appreciate links to more detailed content that provides even more value. It’s easy to build internal links on WordPress. Select the anchor text (clickable hyperlink) for linking, click the insert/edit link option, click “link to existing content” option and paste the URL. The links you use should be relevant to the post. Avoid using a large number of unnecessary links as this can be very distracting for the reader. Whether you’re a seasoned entrepreneur or a newbie blogging enthusiast, these crucial SEO strategies will help you achieve massive traffic inflow. Which SEO strategies have worked best for you? Comment below and don’t forget to share this post if you found it helpful. Cheers!